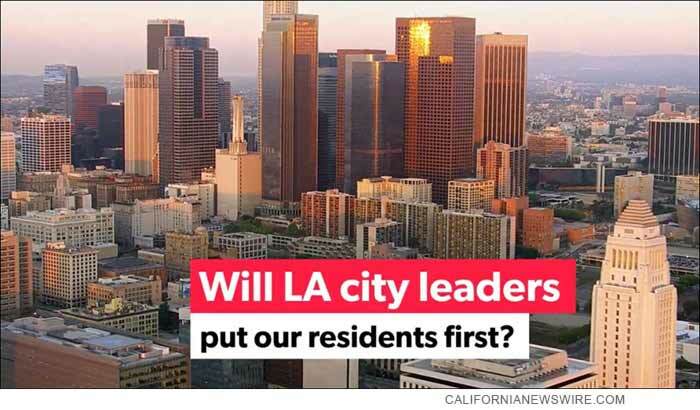 LOS ANGELES, Calif. /California Newswire/ — It’s Time, Los Angeles, a coalition of local community, housing, labor, equality and hospitality groups, launched a video ad today calling on the Los Angeles City Council to put city residents first and enact the proposed home sharing ordinance that the city council voted unanimously to approve last May. The video also showcases that other major cities, including New York, Boston, San Francisco and Washington, D.C., have already passed stronger short-term rental ordinances to protect housing, while Los Angeles has lagged behind. Recent research data from Airbnb’s website, estimates that the ordinance passed by the Los Angeles City Council last May would return more than 11,000 homes to the city’s permanent housing stock and reduce mounting pressure on rent prices. The coalition is comprised of several local groups, including Keep Neighborhoods First, Unite Here Local 11, Strategic Actions for a Just Economy (SAJE), Los Angeles Alliance for a New Economy (LAANE) and California Hotel & Lodging Association (CHLA), as well as other local housing advocates and community leaders who have seen their neighborhoods torn apart by short-term rentals. Judy Goldman, with a group called Keep Neighborhoods First, said city residents in neighborhoods across the city will continue to feel the negative impacts of short-term rentals until the proposed legislation is finally enacted. // Editorial Note: the above press release was provided by the news source and/or agency noted and was not created by CaliforniaNewswire.com – information is believed accurate but not guaranteed.